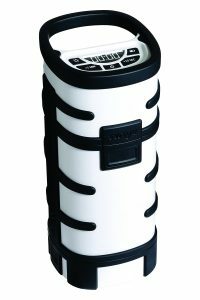 The use of LDMOS RF power transistors in place of vacuum tubes has significant benefits for cooking, as has recently been demonstrated in both ovens and the world’s first solid-state portable food heater, called the Wayv Adventurer (Figure 1). 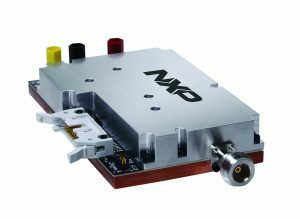 As one of the pioneers in this emerging marketplace, NXP has created a line of transistors designed exclusively for these applications, and is developing a module that makes it considerably easier for engineers to create products that take advantage of what solid-state power has to offer. These benefits include uniform heating and consistency in the cooking process that typically are not achieved as well by traditional methods, operating lifetimes measured in years rather than hours — with consistent RF output throughout, safer low-voltage operation, precisely taming the energy where it’s required, and the ability to vary the level of heating, which is not possible with current vacuum tube RF power sources (magnetrons). The result is greater retained nutritional value and moisture retention as well as the potential ability to cook multiple foods simultaneously. That is, a complete meal like a plate of drumsticks, carrots, and potatoes, can simultaneously be cooked at different temperatures to provide “chef-quality” meals in less time with virtually no involvement by the cook. The new LDMOS RF power transistors cover 915 and 2450 MHz, the unlicensed frequencies that will most likely be used in solid-state cooking products as well as a broadband device that covers frequencies as low as 728 MHz and up to 2700 MHz. All can be incorporated within NXP’s RF cooking module, as are other devices the company has developed for this purpose. They range in P1dB RF output power from 10 to 387 W with gain as high as 20.7 dB and efficiency up to 66.9 dB. Operation is from supply voltages of 28 VDC and 48 VDC. Specifications for the five new devices are included in Table 1. NXP provides significant technical documentation, firmware, and schematics for solid-state cooking, as well as technical support for developers. As solid-state devices are new to appliance manufacturers, the new RF cooking module is designed to help engineers build innovative RF cooking appliances with the least amount of effort. It also allows appliance developers to more easily transition to high-volume manufacturing of solid-state heating solutions. The new RF cooking module (Figure 2), which operates from 24 to 32 V at 18 A and measures 3 x 3.7 x 1 mm, includes NXP’s MKW40Z Kinetis microcontroller with a 2450 MHz RF signal generator, MMG3014 InGap HBT pre-driver, LDMOS MHT1008 driver and MHT1004 final-stage amplifier in a single, integrated closed-loop module. Flexible software API commands are provided to simplify cooking appliance control system programming to enable new cooking features and capabilities. The module supports applications requiring 220 to 250 W RF output power and can be scaled up to 1 kW at 2450 MHz. Communication interfaces include I2C, SPI, and UART. The module measures forward and reflected power, current, voltage, and temperature; provides coordinated power, phase, and frequency control, and a well distributed electromagnetic field; hardware-based monitoring and safety fault/shutdown. The modules are scalable from 250 W to 1 kW.